When you’re searching for the perfect keyboard, you might not think of Google. However, having the search engine built into your third-party keyboard definitely has its advantages. When you first download Google’s Gboard, you might not realize how much you’re getting. Sure, you have to go through all the setup steps of allowing it full system access and then adding it to your keyboard lists. Still, you might not know how much is packed into the keyboard, and how solidly Google is supporting it. The search engine giant keeps coming up with new features to add to the keyboard. 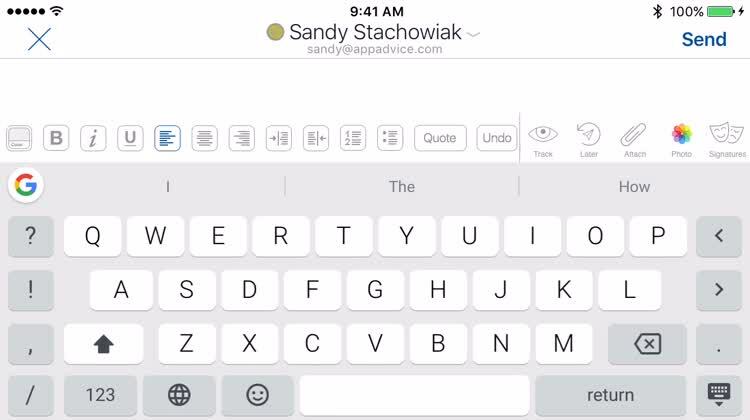 Right off the bat, we got glide-based typing, but that was only the beginning. Voice dictation came later, and a new update has added even more functionality. If words simply won’t do, you don’t like any of the emojis available, and nothing else seems to fit, just draw your own picture. The latest update to Gboard lets you do that. All you have to do is tap the Emoji icon, then find the marker at the bottom of the screen. Just like that, you’ll be able to doodle your own picture to send to your contact. You can choose from nine different colors of markers, and can even adjust the width of the line you draw. The doodling feature even supports undo, so you can express yourself artistically with confidence in being able to erase a mistake quickly and easily. Google might not have come up with the idea of handwritten drawings on iOS, especially in messages. However, the way it works is far superior to what you can do with Digital Touch if you want to actually draw something and know what it’s going to look like. Two features in one, you’ll now find a pair of tabs beside the Google Search tab when you try to look something up for a message. These are Maps and YouTube, and they are definitely welcome additions to the keyboard. With Gboard, the days of having to copy and paste a YouTube video’s address into your message are gone. You can just search for that perfect video, then tap it and send. You’re also able to make use of Google Maps in Gboard, now. Just search for a location or address, and Gboard will give you cards for those places that you can drag into your message to send. This is definitely a perfect way of letting folks know where you want to meet for dinner, since you don’t have to just put in the address anymore. You can give them a map, and they can use that to get driving or walking directions directly from where they are. If Google keeps adding features to Gboard, I can definitely see the app getting cluttered and bloated. These are essential additions, though, and they’re perfectly placed in the app for how you might use them.